Scala/Dotty SIP process: A better `main` approach? contributors.scala-lang.org remains my favorite website of late. 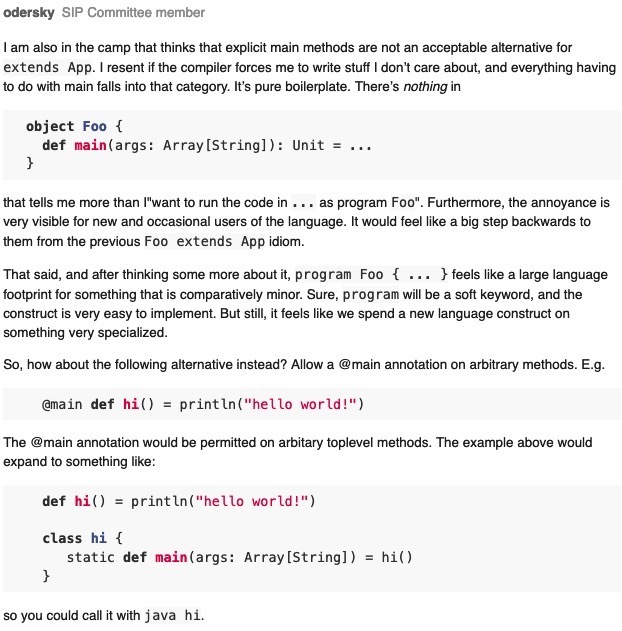 This pre-SIP discussion looking for better ways to define a `main` method is a fun read that demonstrates a collaborative process.